A spokesman for Ethiopia’s embassy in London called Feyisa’s comments “fairy tales”. The movement that emerged following a contentious government plan to expand the territorial limits of Ethiopia’s capital, Addis Ababa, into neighboring Oromia villages and towns, subsequently expanded into other parts of Ethiopia, as participants rallied behind broader grievances against the government. 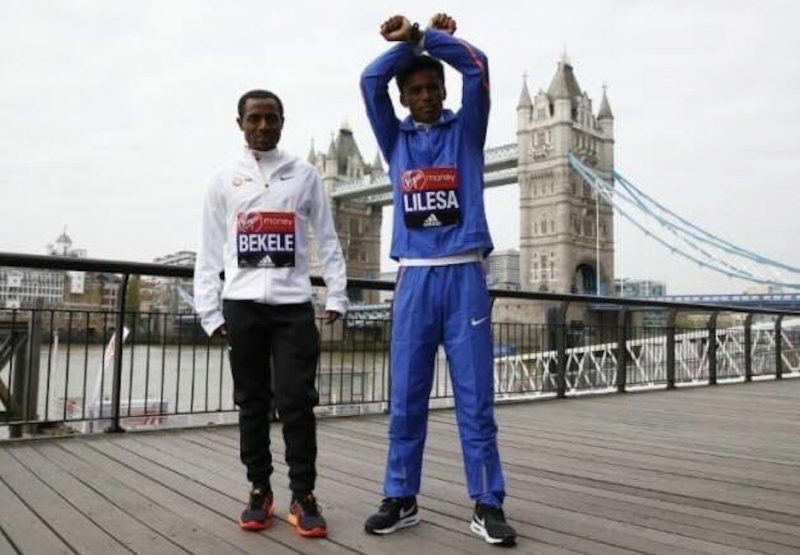 While the government has since tamped down the protests by declaring a state of emergency, Feyisa’s signal of solidarity with the historically marginalized Oromo people at the Olympics offered the movement a major boost as international media moved to highlight political repression in Ethiopia. Next Next post: Ati Goota Yaa Fayyoo! Nuuf Mooteetta!